Things are coming together, I'm making the effort to get the site built, all the new forms in place and had a really interesting time on the David Kato course " Anorexia, Bulimia and O.C.D. Lots of requests for smoking cessation, several for weight control, guess thats the New Year resolutions kicking in. Wow so much going on at the moment, must put more effort into getting the site further developed.---- added the anxiety diagrams. A friend called in to talk about possibilities for a new practice in Dolgellau, came at the right time because i found out a few days before that the Porthmadog clinic has no spare capacity but they are getting requests for Hypnotherapy specifically-- they asked for cards and brochures to facilitate referrals--- good stuff !! Back from the session in Birmingham for thhe HPD preparation, feeling a lot more confident about what I've done on the portfolio so far -- made the first submission. I will review it next week taking account of the comments Hilary made to the group about general issues. I can do many things -- but fathoming the mysteries of file transfer appears not to be one of them. No matter how many times I try I cannot persuade the links page to appear on the site-- even though it is still on this computer. I will submit and ask the expert--and hope I understand the answer. Meanwhile still looking for a room to use one or more days a week in south Gwynedd-- Barmouth /Dolgellau would be best I think-- suggestions welcomed !! Lots of people waiting to give Hypnotherapy a try and such a range of topics to work on-- from the end of March when the building in Barmouth closes I will have to go back to visiting clients at home-- not ideal but ok temporarily. Great-- found space in Dolgellau at "The art of massage" . Sandra who runs the centre is developing an holistic health centre so, over time there should be additional therapists. I will be there on Wednesdays so if you are looking for service in South Gwynedd that is an easy place to get to. It is in Mill Street opposite the Torrent Hotel. For appointments it is better to ring my landline--- mobile coverage is still patchy and at home is non existent !! Just added an article on Feelings and how they affect both our actions and our physical state. Belinda Bradbury has joined the service providers at Mill Street as a medical herbalist I've added details of her site to the links page for you to check it out. Thinking of making some audio files to go on the local on line radio station they are looking for additional podcasts to add to the library of items listeners can access. Just added another article , this time on motivation. Off to Birmingham later this week for the Hypnotic Gatric Band and weight management course. That is the other end of the spectrum from the Anorexia, Bulimia and OCD course I did with Dr Roger Cato. It will be interesting to see what common issues come up. Back from the Carol Bain session in Birmingham on weight management and gastric band use. Some interesting issues came up and if you would like some alternative thoughts on weight management have a look at my article entitled An alternative to boom and bust dieting. As I suspected there are issues that re common to either side of the weight management balance point. As we already know our emotions, beleifs and habits control who we are and how we operate. I also got the Quit4life leaflets from the printers, I noticed one part that needs updating the bit that talks about the cost of smoking; at todays prices of around £8 per pack of 20 the 20 a day habit is costing you at least £2920 a year ---that is probably enough for a car or a holiday--- part deposit on a house--but instead it is literally going up in smoke. Busy day in Dolgellau yesterday, something I had only thought of in passing was health tourism. 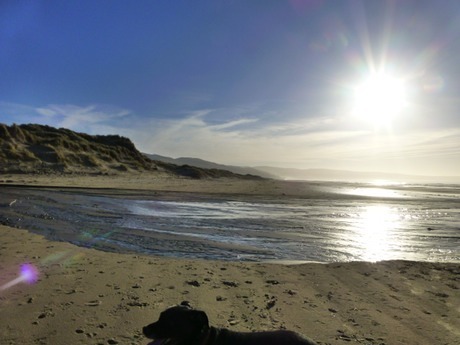 Logically if people are on holiday they are likely to be in a more relaxed frame of mind and therefore more disposed to make good use of therapy-- being mindfull that not everyone goes on holiday for bucket and spade bach holidays this could be an interesting development. The site is growing quite quickly at the moment, particularly the Articles and thoughts section. It is great to get questios from people, it helps me realise what people need to know before they commit to treatment. I've produced some articles to answer and explain various issues, I hope you will find them useful but I'd also welcome feedback. I have tried to avoid using "Therapy speak" because i think it is better to use a format that is easily accessible to everyone, however, if you want more detail let me know and i will give you links to sites where you can widen your knowledge further. Just added a video from an American nursing page showing the recovery rate of the body when people stop smoking, fits with the info we give through Quit4Life. Added a cartoon showing the effects of obesity too. The unique take on weight management through hypnosis is that it is a total package and programme to change your life for real for ever. Time flies--well it does a fair impression at least. When I started training I was told that the majority of day to day clients would be concerned with a small number of issues and that at the top of the pyramid would be smoking and weight concerns. It is said that the exception proves the rule and the exception is that propotionatley I see many more people who experience anxiety in a negative way. When we are anxious it can trigger us into action ( not necessarily the best action) but for others it is a paralysing barrier, one that obstructs the view forwards and turns people in on themselves in an all consuming spiral. Learning to manage those potentially damaging feelings, turning them into positive tools is a skill that we all need to develop. It is usually easier when you have someone to bounce ideas off, to try things out with, that is the benefit of therapy-- it is supportive, non critical and delivered with your best interests as its motivation and it is impartial. Hmmm such a long gap between posts, but I'm thrilled to be able to say that I have now been awarded my Hypnotherapy Practitioners Diploma, while this is personally a thrilling endorsement, for my clients it is a further level of confidence that they can have in the efficacy of their treatments. There have been some brilliant results for people recently and it is amazing to see Hypnotherapy make such substantial and fast changes to peoples confidence, functioning and happiness. I will be developing the practice further in the New Year. I have uploaded copies of several articles from the "Articles and Thoughts" section in audio format for those who are sight impaired. They like a lot of this site are part of the learning process so I am confident that over time the quality will improve as I sharpen my presenting and editing skills. They have been produced with static backgrounds rather than recording them as podcasts. Day of action, completed the APHP upgrade forms, completed the NHS directory of alternative and complementary medicine forms and even sorted that mysterious entry on the credit card bill ( insurance on the t.v !). I'm also enquiring about additional facilities. If anyone knows of rooms available to hire on an as needed basis that are clean dry,warm and quiet with level access around north Wales I'd be really pleased to hear about them-- best if they are near to public transport too. I'm interested in peoples thoughts on Past Life Regression. It is talked of by some as being part of therapy, implying that previous existences have bearing on current life experience. That really depends on your personal beliefs about the nature of human existence. It is regular in some branches of hypnotherapy to use current life regression as a means of evorcising past events, revisiting them from a detached viewing point to resolve the issues such events generated. What are your thoughts on this,? are you curious about what a past life regression session might produce? is it an unexplainable curiosity or a manifestation of something real? The process to access the experience is quite straightforward-- drop me a line with your thoughts. Also registered with the Data Protection Agency and had that approved. I will post a new page with the standard entry so that everyone can see what this means. As it is a standardised form it includes options that I will not need to take up > I will only pass information with the client /patients permission between myself and their therapists or to standard authoprities if legally obliged so to do, but beyond that information stays firmly with me and only for as long as is relevant. Long ago i became interested in the link between certain sound frequencies and brain activity. Recently i've gone back to this and plan in future to develop recordings that will include the appropriate Binaural rhythms to add an extra level of effectiveness to the overall presentation. If you have any thoughts or knowledge that you would like to share I'd be very happy to hear from you. Back to Birmingham for the next supervision meeting, these informal sessions are really useful on many levels, they keep me in touch with the college, they give me a chance to bounce ideas of other therapists and allows me to check my performance against thiers. A lot of discussion this month on addictions, on erectile dysfunction and on the uses of EMDR. Meanwhile, back home Sandra tells me that she is moving on to other ways of operating and is closing "The Art of Massage " at the end of July. Looking for other suitable premises either in Dolgellau or another town. Something will come up, I already have a couple of ideas. I'm happy to come to you or to find facilities close to where you are. I think I have all the articles that I have written so far up on the site now. if there is a subject that you think needs covering or a question to ask I would be really pleased to hear from you. Time to relocate; The Art of Massage will close on 30th July so I am hoping to find other places from which to operate to be convenient for everyone. I am investigating the Tan y Maen Centre in Blaennau Ffestiniog, that looks a suitable site and easy for everyone to get to. I will let you know when it is sorted. I can also come to you at home if need be. If you have suggestions for sites in your area please send me details. Just in the process of adding a couple more articles to the "Articles and thoughts" section. Can you please let me know if the audio versions are beneficial--- or do you prefer to read them on screen. Sandra has decided to close The Art of Massage in Dolgellau to concentrate on other projects. I have been told of another location that may be available in Dolgellau and will update the site and the facebook page when that is confirmed. I have made arrangements to use space in Tan y Maen in Blaennau Ffestiniog, it is a comfortable setting in a building owned by a charitable company that provides a range of services within the community. The space is quiet and comfortable. I have just found that the email facility from the site has not been working recently. That has been fixed now and I will test it regularly from now on. If you have mailed via the contact page and not got a reply this explains why, I apologise for the lack of that service. 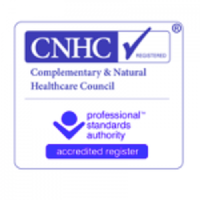 Just upgraded my membership at National Council for Hypnotherapy and added a link on the site to their listing of practitioners. Site building and manipulation remains a hit and miss exercise but persistence seems to get me there in the end. The centre at Tan y Maen is comfortable and welcoming with a range of organisations utilising the facility, this is good for some who do not want others to know which therapist or support group they are visiting. For some time I have been looking at Mindfulness and wondering if it integrates with Hypnosis as a theraputic tool. Today I added some pictures to the pages, they are all images taken by me and serve to break up the sea of text; there is no deep meaning to them but they do focus on nature, space and light. I have been adding articles on Mindfulness, I hope you like what they say and feel inclined to explore what Mindfulness can do for you. I am currently running a pilot course and refining it as I go so that I can offer it to a wider audience. I am considering an online course too, that will be a first for me so will have to explore how that will work best. Tan Y Maen centre in Blaennau Ffestiniog is a good central point to work from and has good transport links so that it is accessible for non drivers too. If you want to make an appointment email or call me for vacant times. I am happy to talk to groups on either Hypnotherapy or Mindfulness and can tailor talks to specific audiences-- just let me know what you require. Mindfulness now takes up a lot of my time but also integrates incredibly well with hypnotherapy. The first run of the course i wrote helped me to sort timing and content. I am also working on a one to one basis delivering the same training. It is clear that there is a lot in the course and that trying to deliver it in any condensed form does not do it justice, I wont attempt that again. Fortunatley the person I am working with has prior knowledge and has practices Mindfulness already. It is interesting how differently people view mindfulness when they have self taught compared with attending a group. I am now building a separate Mindfulness website--- it takes time and will have a distinct style. Still looking for therapists operating in South Gwynedd for some sort of collaborative project and also for some open day type sessions If thats you please get in touch and lets make things happen. The new site is up an running it is called www.mindfulnessforlife.org.uk Trying to get all the pages to look as I would like them is not proving easy. Copying and pasting articles is not straightforward when going from one programme to another . Working with text is one matter but text with graphics, albeit simple ones, is less easy. That explains why the "Random thoughts" page looks like a piece of paper pasted onto the page. It is a compromise that i may resolve in the future, in the meantime it is reatable if not aesthetically right. As you see this is not an inane daily blog charting inconsequential matters-- you don't need that, life is already full of things that take time and give little benefit. I write when something real happens. This weekend I went to a one day intensive session with Dr Nick Wright. His theme was "One mind -One body". Those of you who have seen my Mindfulness site will already understand the significance of understanding and working through the totality of your being. What is experienced in the mind is expressed through the body--- there are articles in the articles and thoughts section that expand on this. What Dr Wright was talking about was the neurological conditions that appear to have a basis in a past trauma ( Physical or emotional ). Typically these "Illnesses" appear 2-3 years after the event. Mecicine is then invoked to treat the symptoms but often the incident-- the cause-- is not investigated and dealt with. This means that the cause remains and will continue to find new ways of showing itself. So, the need is to identify the cause, deal with it and enable the patient to recover. This is more complex than it sounds-- once damage has been done that may be irreversible, but what therapy may do is alleviate the cause and enable the patient to cope better with the consequent damage and prevent further damage occurring. He was talking about conditions such as Parkinsons Disease, Dystonia and bells palsy as examples of neurological conditions that may benefit from complementary and alternative therapies. Clearly the approach varies from that of NHS medicine and can develop a raft of therapies that include exercise and diet management to provide non pharamceutical interventions. Essentially we are electro bio mechanical beings, we are affected by changes in our environment. We work on circadian rhythms, a 24ish hour cycle that governs waking, sleeping, activity levels, cognitive function level, food intake and much more. Things like long term shift work, stress, trauma etc upset our system and cause irregular patterns of waking and sleeping, lack of suitable foods at the right time, excessive and dysfunctional thinking about a range of issues. Essentially the message is We make ourselves ill---by changes we may stop that process and in some degree reverse it. So the point is the session reiterated a lot of information I already knew but has added techniques and thought streams that will further strengthen the work I do with clients. It is a requirement of the organisations to which i belong that I take "Continuing Professional Development as part of my programme of work each year. I enjoy learning, refreshing and discussing any and all aspects of my work to ensure that i stay fresh and focussed on my clients needs. If you have specify question feel free to email me. Stress, anxiety and depression seem to be rife among health workers and teachers, so many enquiries relate to these subjects. It is pleaseing to be able to report that Hypnotherapy is gaining a lot of new interest and for many and varied conditions. It is so adaptable and people are realising that drug free treatments have no side effects with which to deal . I am enjoying running the Mindfulness groups the 8 week course gives great grounding and a new perspective for all kinds of people. Just noticed that the email link in the contact page was not working, if you tried to contact me and got no reply i apologise, i had not spotted the omission, it is fixed now so do please make contact with comments, questions and observations.